#244	) A New Normal? Not for Katrina, Not for Sandy, and what about 1926 in Miami? WHIPLASH AVOIDER. In a world of frantic assertions, one man keeps his calm — NY Times blogger Andy Revkin. It’s the “may or may not” thing. I’m not saying that the +5 degree elevation of sea surface temperatures contributing to the strength of Sandy was irrelevant, but I am saying let’s be really certain we know the “credibility damage” of shouting out “It’s here!” before we do it again. Why? Do you recall what the left leaning members of the general public did in the wake of Hurricane Katrina in 2005? They had a mass media panic attack that centered around a movie that was VERY hastily assembled (released before the next hurricane season) trying to make the case for global warming that “IT’S HERE!” (it was subtitled, “By far the most terrifying film you will ever see!”). why are you reading these? Second, he doesn’t need attention (this is huge). He’s at the New York Times. By definition he automatically gets attention by being there. He’s not some upstart blogger who’s trying to “attract eyeballs” (which happens A LOT in the blogging world). He doesn’t need to. He has the luxury of being able to solely seek the truth. Third, when you read the comments on his blogposts and listen to opinions of him in both the climate science and climate skeptic community, you hear a fairly even balance of dismissal from both ends of the spectrum. Climate skeptics call him a “warmist,” some climate science folks try to label him a climate skeptic. It cancels out and to me signifies someone genuinely searching for the truth. Which is rare. In the late 80’s, when I was a postdoc at Harbor Branch Oceanographic Institute in Ft. Pierce, Florida, the Miami Herald ran a rather amazing feature article on the hurricane of 1926. It hurt my brain to read it. 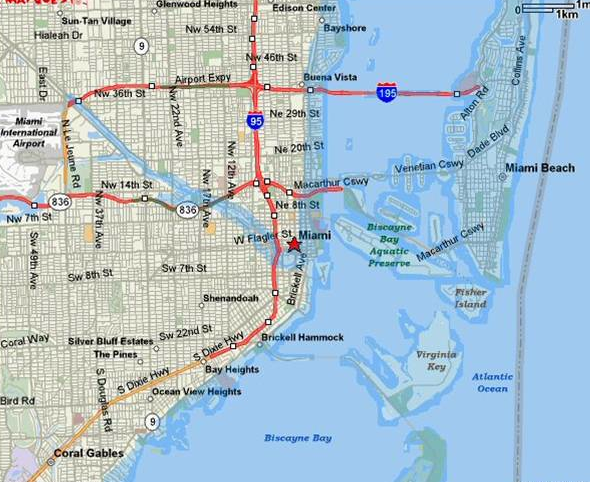 They were asking the reader to try and envision today what happened then, starting with the idea of a 10 foot deep storm surge that swept over the ENTIRE Biscayne Island. Today the island has over 12,000 residents. When that hurricane comes again, the devastation is going to be staggering. It will probably look like the Indonesian tsunami in places. DROWNED BISCAYNE – this is a map of the flooding from the 1926 hurricane at it’s worst point. Note the entirety of Biscayne Island on the right is submerged. Whoa. 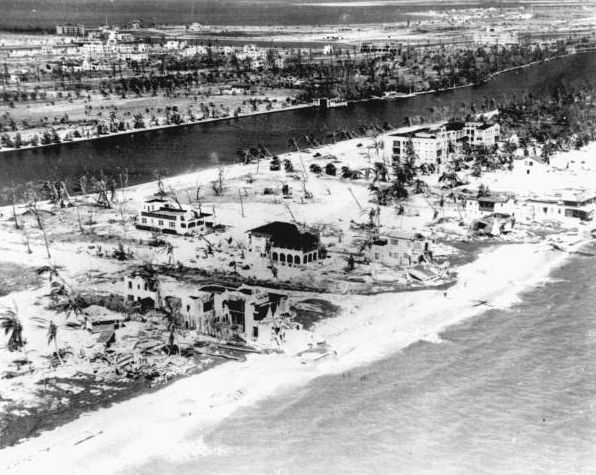 Miami Beach after the 1926 hurricane. Try to picture this today. Yikes.